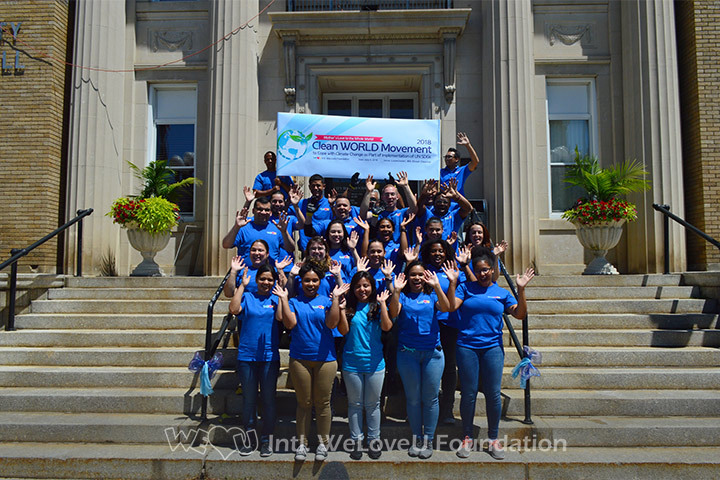 Last week, volunteers from the WeLoveU Foundation kicked-off July by beautifying Leominster’s Fournier Park. Now, they’re back, but this time to carry out a street cleanup near city hall. It was on Sunday, July 8, 2018, that about 25 volunteers gathered together for this community service. Leominster City Hall supports the group’s effort by providing them with trash bags and gloves. The volunteers began cleaning on West Street and made their way east towards Central Street and Lancaster Street. Central Street and Lancaster Street are more residential areas versus West Street which is more commercialized. The volunteers branched out into both residential streets. While doing so, they had a chance to meet those who live along those roads. The participants received many thankful remarks from the local residents. Their bright smiles and blue shirts caught the eyes of all who passed by. Car honks were heard throughout the cleanup along with residents encouraging and acknowledging the volunteer’s care and conscientious attitudes. For one mile, and in the hot summer weather, volunteers picked up garbage, dead branches, and debris. In the end, a total of about 50 pounds of waste was gathered. “It feels good when you do something for the community and even to be of some help in the world. Even to work as a team felt good. I feel like through this cleanup we are able to encourage the community and show love to them, especially with what is happening in this world now,” a new volunteer of the organization said. The cleanup started and concluded with cheering and laughter from the volunteers. 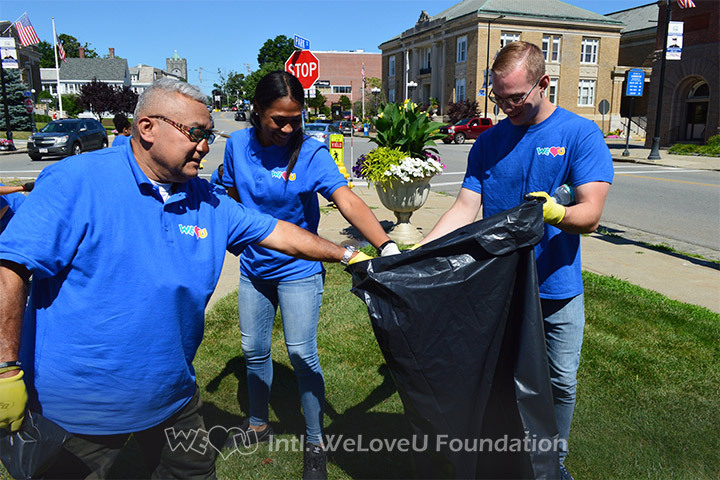 The WeLoveU Foundation strives to share love through community service and create a safe and clean environment for all. The volunteers are looking forward to more community services, eager to serve their neighbors and raise awareness of the importance of having a Clean World.